In indian homes we all cook dal and i use lot of vegetables in it and the inspiration is my mom. When we were kids the vegetables which we did liked to eat mom will cook it with dal :). And we will eat the dal without even knowing its there. In this recipe i have cooked the dal with lauki / gourd because my husband hates lauki ki sabzi so i now a days cook it with dal . Here is the one more recipe from the thali (platter) in last post. Lauki / Any vegetable - 1 cup , cut into small pieces. Wash and cook the dal, lauki(any vegetable),tomato,garlic,chilli,turmeric,hing . I usually will pressure cook the dal for 2-3 whistles or for 10 minutes. When dal is very tender mash the mixture well with a ladel and add salt to taste. Keep the mixture back on fire to simmer. Heat ghee/oil and add mustard seeds when the start to pop add cumin. Cook for 30 seconds and add to the simmering mixture and switch of the flame. Nice recipe and simple too. I too liked this simple and tasty dal recipe..Superb picture!! 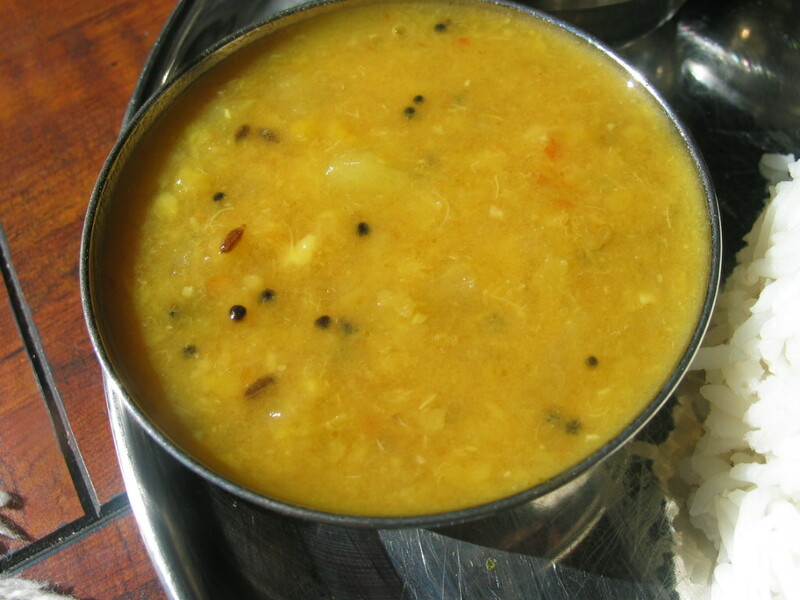 Thats a comforting and droolworthy dal..
simple and comforting dal.. looks gr8 !! Thats such a comforting dal! thanks nisha for visiting my blog,your comments r highly appreciated..u too have a lovely space..and this dal looks delish ! What an easy and yummy dish! YUM! Mmm...I love this...healthy and delicious. I love it with paratha. Thanks very much for sharing. will try for rotis..Looks delicious..
My fav..looks so perfect and yummy!! Anapakaya pappu,we call it..very soft and healthy pappu,thanx for sharing..